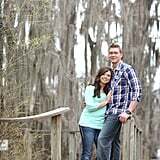 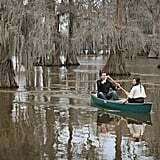 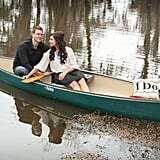 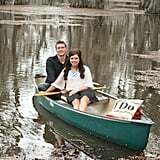 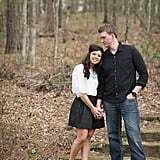 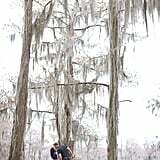 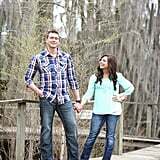 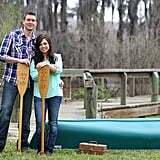 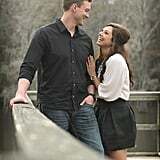 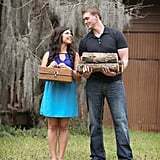 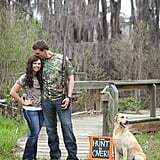 The romantic backdrop of Caddo Lake, TX, was the perfect location for Keven and Ericka's engagement shoot. 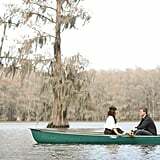 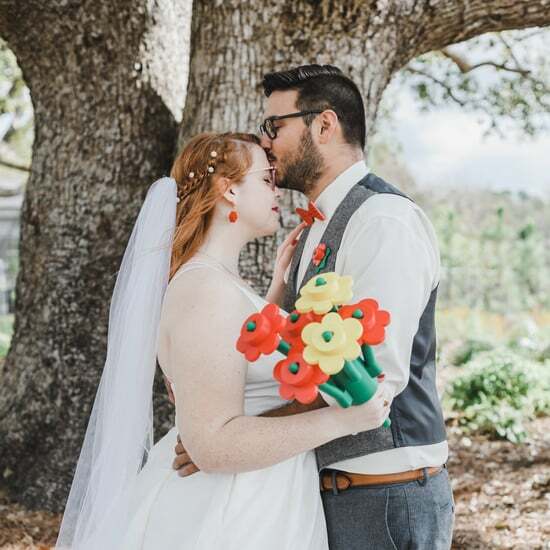 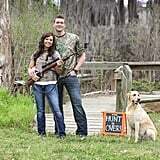 The sweet couple share a love for the outdoors, which made The Notebook a fitting choice for photo inspiration. 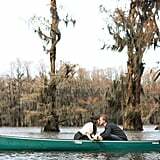 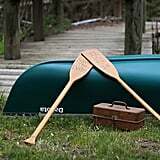 They, of course, re-created the famous lake scene in the rowboat and even captured a few moments sitting on patio chairs like Noah and Allie did in the film. 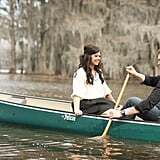 Although the only thing missing from their shoot was pouring rain, their adorable dog Toolee was able to join in on the fun.